With straighter teeth, you’ll enjoy improved oral health and feel better about the way you look. You can achieve the smile you’ve always wanted with our orthodontic options that use clear aligners or tooth-coloured materials that are practically invisible, leaving you feeling confident while achieving your smile goals. You can choose ClearPath™, Invisalign® or Quick Straight Teeth™ at our clinic. Each has their own advantages and is appropriate for certain situations. Read on to learn more! Dentists Dr Vincent Wan and Dr Allen Wan are certified in providing ClearPath, which uses thin aligners to shift your teeth into place. They allow you to eat whatever you’d like, whenever you like, without worrying about high-maintenance metal braces. Worn for a total of 22 hours per day, you can take them out for meals or social events as you’d like. The cutting-edge digital mapping system plans out the movement of your teeth with each new set of aligners so that you’ll know exactly what to expect. 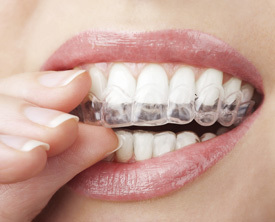 Invisalign is known around the world for their removable aligners that give reliable results. Each treatment plan is created for the individual, ensuring that your desired objectives are achieved. The aligners are removable and replaced with a new set periodically to slowly shift your teeth. Dental visits are only required every 6-8 weeks, making them ideal for individuals with a busy lifestyle. Dentist Dr Meena Hedge is fully trained in providing Invisalign. Your smile teeth are the ones that are visible at the front of the mouth. If they’re the only ones you’d like to address, Quick Straight Teeth may be ideal. It takes just six months to align your front teeth. Dentists Dr Vincent Wan and Dr Allen Wan have completed the certification course in QST, giving them the expertise to evaluate whether this option is right for you. 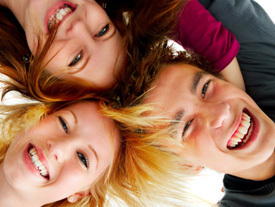 Align your smile and boost your confidence with our orthodontic options. Contact us today to book an appointment!